Emile Berliner was born in Hanover, Germany in 1851. As a young man he immigrated to the United States in 1870, taking up residence in Washington, DC. He was to become a scientist and inventor of considerable fame, his inventions and patents included the carbon microphone (1876), the "Gramophone" long-player 78 rpm record format (1887), and a version of the rotary internal combustion engine (1908). Berliner's later test bed design used a wheeled rotor assembly, where he discovered the result that the power requirements for a rotor to produce a given thrust are lower when the rotor first moves from hover into edgewise, forward flight. During 1908, Emile Berliner worked in conjunction with John N. Williams to build two prototype human-carrying vertical flight machines. Williams had filed patents on several vertical lift aircraft designs and possible control mechanisms such as blade twisting, and Berliner clearly considered William's expertise important to his own efforts to his own efforts in developing a successful aircraft. In 1910 Berliner designed and patented a single rotor vertical lift machine that he called a "Gyrocopter" ( Berliner Patent 1,361,222), which used a tail-rotor for anti-torque and directional control. Helicopter developments worldwide were halted by the outbreak of World War I, but after leaving the Army, his son, Henry Berliner, was to continue his father's interest in vertical lift aircraft. By 1919, Henry had built a counter-rotating co-axial rotor machine, presumably capitalizing on the earlier experience of his father and John Williams. No one person can be credited for the invention of the helicopter. However, Emile and Henry Berliner's early flights with their co-axial rotor and side-by-side rotor machines must be acknowledged as some of the world's first rudimentary piloted vertical lift aircraft developments. 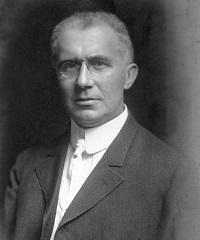 Emile Berliner died in 1929. In the same year Henry Berliner founded the Berliner-Joyce Aircraft Corporation of Dundalk, MD, which would produce the successful P-16 two seater fighter biplane.